This CD player offered a glimpse of Apple's post-desktop game plan. 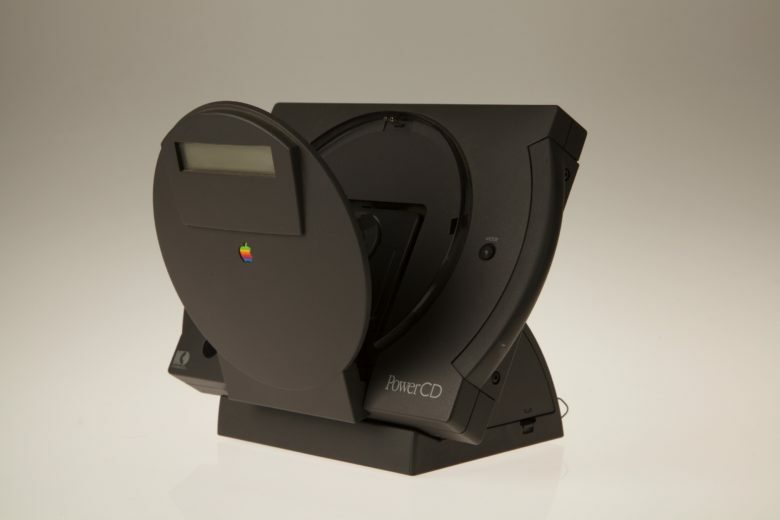 March 22, 1993: Apple launches the PowerCD, the first device from the company that doesn’t require a computer to work. A portable CD player that also works as an external CD drive for Macs, it offers a glimpse of the extremely lucrative path Apple will follow a decade later. However, the PowerCD itself will ultimately fail in the marketplace. While the 1990s proved the least-profitable period in Apple’s history, I’ve always had a soft spot for the company’s products from that era. Part of this is, admittedly, nostalgia for the Apple devices I saw growing up. But part of it comes from the crazy level of experimentation Apple engaged in then. From the Newton MessagePad to the Macintosh TV to the Pippin game console to the QuickTake camera, Apple clearly didn’t feel afraid to try new things in the 1990s. True, most of those products flopped. But it’s remarkable how many of them wound up, with a few tweaks, laying the foundations for Apple’s massive success in the following decade. The PowerCD was a pretty neat product, despite its lack of success. The PowerCD did exactly that. 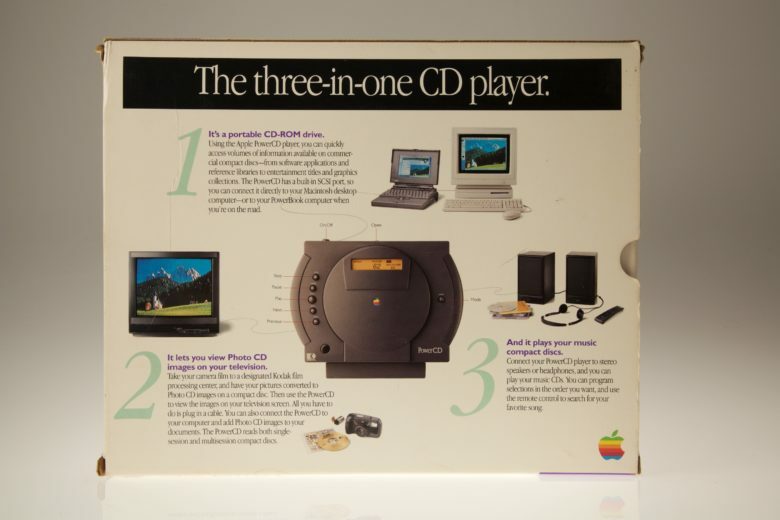 Launched for $499 in 1993, the standalone CD player also served as a Mac peripheral. Available alongside the AppleDesign Powered Speakers, the PowerCD reminded some of Sony’s portable Discman. However, it did much more. The PowerCD could read Kodak photo CDs and data CDs as well as playing regular audio discs. It even came with its own remote control. The PowerCD, which worked without a computer when powered by six AA batteries, wasn’t actually manufactured by Apple. Instead, t was a rebranded Philips CDF 100 (which Kodak also sold as the PCD 880). Still, Apple added a few neat touches that made the PowerCD memorable. If plugged into a Mac via SCSI, the device worked as a peripheral to provide an external CD-ROM drive. At a time when not all Macs came with CD drives, the device provided an easy option for upgrading a Mac’s functionality. Sadly, like so many of the aforementioned great Apple products from the ’90s, PowerCD failed to catch on with consumers. It wound up being the only product released by the Apple design subgroup, Mac Like Things, which Cupertino established following the launch of the Newton. Apple discontinued the PowerCD just a few years after the device’s launch. The photos of the PowerCD were kindly provided by Jonathan Zufi, whose book, Iconic: A Photographic Tribute to Apple Innovation, is available on Amazon.